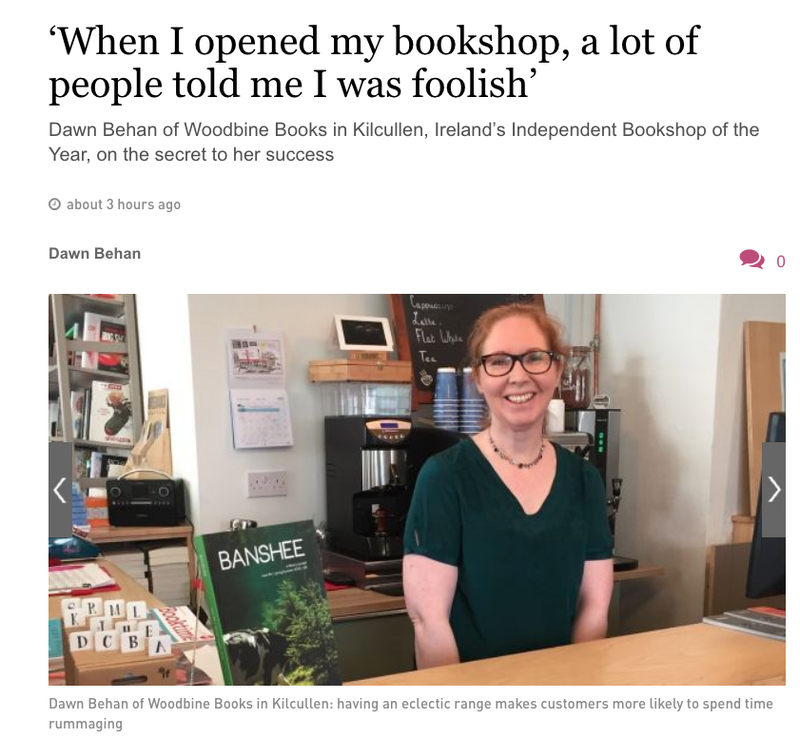 Dawn Behan of Woodbine Books has a lovely piece in the Irish Times today about why and how she set up the bookshop in Kilcullen, writes Brian Byrne. Well worth a read, and she has nice things to say about her home town too. 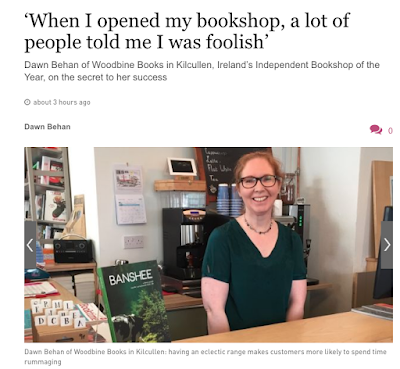 Woodbine Books is Ireland’s Independent Bookshop of the Year, the regional winner in the UK and Ireland competition. The overall winner of the £5,000 prize, won last year by Dublin’s The Gutter Bookshop, will be announced at the British Book Awards ceremony in London on 14 May.